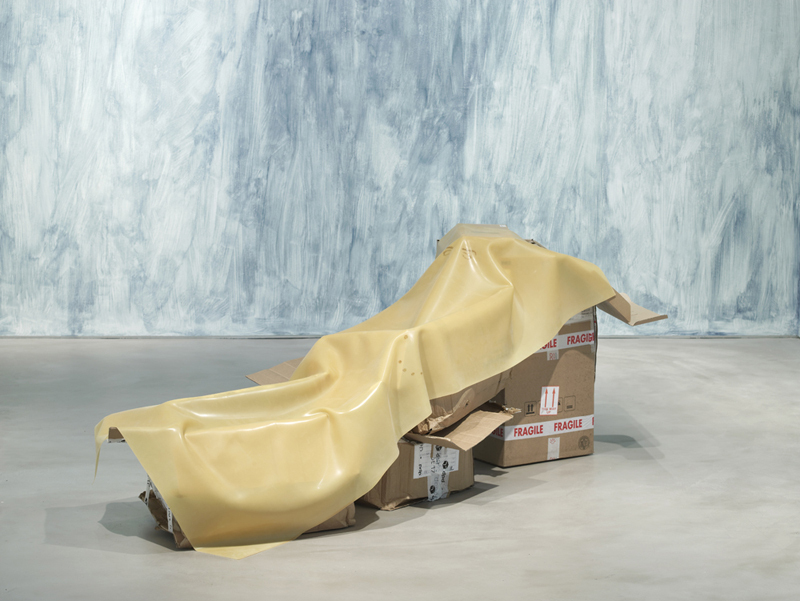 Wax figure is a sheet of latex draped over cardbord boxes and other gallery detritus from Gasworks, London, forming a rough approximation of a reclining body. On the sheet there are burnt lines depicting eyebrows, eyelashes and finger nails at a human scale. These refer equally to a mechanical waxwork figure in Rachilde's Monsieur Venus: a Materialist Novel (whose eyelashes, hair, nails, and teeth have been plucked from Jacques Slivert's corpse) and to my grooming routine while a resident artist at Gasworks in summer 2016.